We all have a pile of old photographs we sometimes browse through in a fit of nostalgia. We all have similar experiences of life: loved ones lost, a familiar back yard... Our photo albums capture moments experienced over the years and surrounded by all sorts of memories and profound emotions; events both amusing and sad. 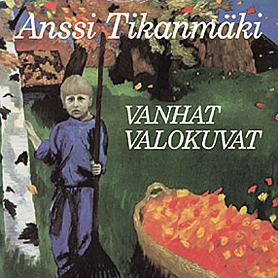 Strings: Jouni Heinonen, Jorma Rahkonen, Pertti Kiri, Kari Vanonen, Timo Konttinen, Erkki Hiltunen, Seppo Suikkanen, Ari Rasilainen, Lauri Laasonen, Atso Lehto, Seppo Ristolainen, Lassi Viljanen, Pentti Palmu, Kari Jussila.